Income tax : Skylight Hospitality principal officer summoned tomorrow, notice on Dec 24. Robert Vadra’s Skylight Hospitality held 3.53 acres of land in Manesar, Haryana and 470 acres in Bikaner, Rajasthan. 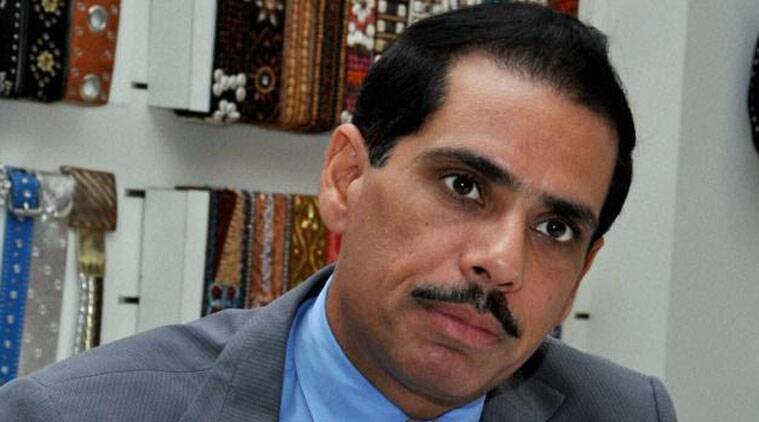 In the first move by the central government against Robert Vadra, son-in-law of Congress president Sonia Gandhi, the Income-Tax department has begun scrutiny of his controversial land deals and financial transactions. Sources said the department has issued a notice to the “principal officer” of Skylight Hospitality and summoned him on Friday. Vadra’s firm Skylight Hospitality, at the centre of a row over transactions with realty giant DLF and procurement of a commercial licence, has been asked to furnish “agreements to purchase and sale of immovable properties” since 2005-06. The I-T, sources said, has sought details of Skylight Hospitality’s transactions with DLF, its association with Onkareshwar Properties and “cost of acquisition of commercial colony licences” in Haryana. Skylight Hospitality held 3.53 acres of land in Manesar, Haryana and 470 acres in Bikaner, Rajasthan. Vadra did not respond to phone calls and text messages from The Indian Express on Wednesday. *A list of sellers of immovable properties along with date of sale to Skylight Hospitality. *Break-up of loans taken and given. * Minutes of the meetings of Board of Directors since 2005-06. * Explanation on deduction of Rs 79.56 lakh in the balance sheet of March 31, 2012. * Details of the nature of assets, purchase and sale deed with computation of capital gains. * An explanation on the firm’s links with Onkareshwar Properties Pvt Ltd.
*Details of loans from DLF Universal Ltd and DLF Retail Developers Ltd.
* The “source” for purchase of land in Manesar. * Details of calculation of profit on sale of agriculture land. * Assessment details of Directors of Skylight — Vadra is one of them — and of its subsidiary companies and joint ventures like Saket Courtyard Hospitality, Saket Holiday Resorts and DLF Saket Hotels. *Details of “related parties” of Skylight Hospitality. * Clarification on how loss of Rs 1.36 crore has been worked out in case of partnership firm Saket Courtyard Hospitality which was taken over by Skylight.